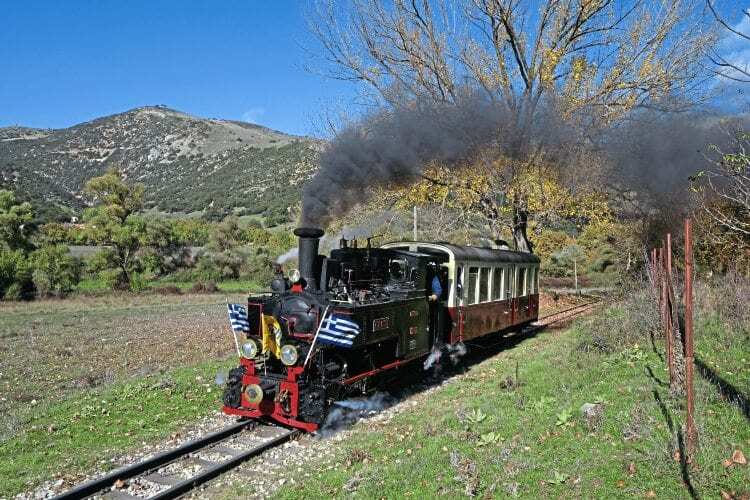 THE only rack railway in Greece – Diakoftó to Kalávryta on the Peloponnese Peninsula – celebrated its 120th birthday last year. And for the first time in a decade one of the original steam locomotives was restored for use and operated special trains. The 750mm-gauge Abt rack-equipped line opened on March 10, 1896 after four years construction, and has three rack sections totalling 3.8km; much of the 22.3km long line is adhesion worked. The railway was sponsored and funded from the outset by the Greek state though the actual construction and operation were franchised out to the Peloponnese metre-gauge operator SPAP.